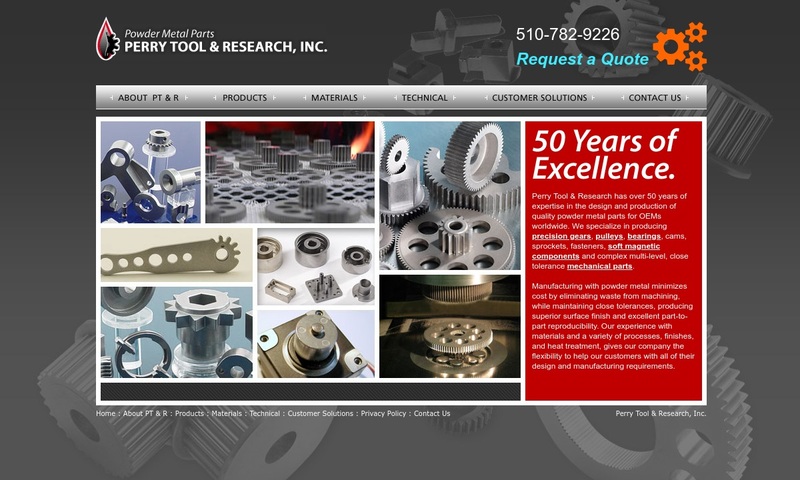 A reliable source for Industrial Gears information and a resource for accessing leading Industrial Gears and suppliers. Gears are mechanical devices that transfer torque and motion or set mechanical motion in action through the engagement of other gears, a shaft or a series of parts. Gears interlock with one another and turn together with the help of evenly cut teeth. Teeth allow different sized and shaped gears to interlock with one another. Gear applications are quite diverse and highly customizable; they appear anywhere that an application requires speed reduction, speed increase, power transmission, motion transmission or force reduction. Gear Manufacturers Gears are mechanical devices that transfer torque and motion or set mechanical motion in action through the engagement of other gears, a shaft or a series of parts. Omni G & M Corporation is a leading gear fabricator specializing in precision machined and custom solutions in a variety of sizes and types. Please check out Omni G & M’s website or call a friendly personnel member today! 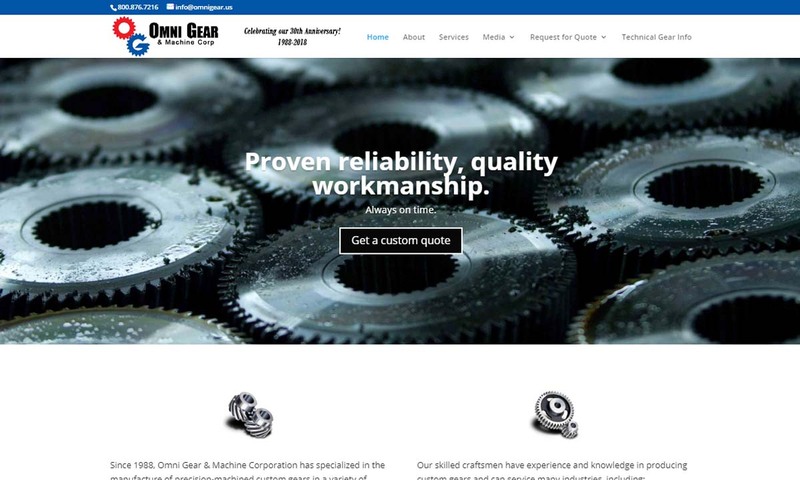 Gears are what we do best, and we are experts in our field. We have three generations of experience backing our company, and we use all of it to benefit you in any way possible. 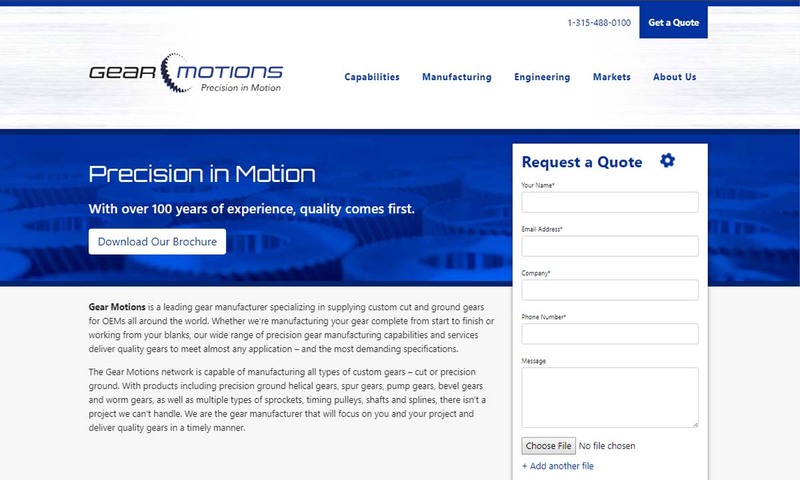 Gear Motions is a leading gear manufacturer specializing in supplying custom cut and ground gears. Our wide range of precision gear manufacturing capabilities and services deliver quality gears to meet almost any application. 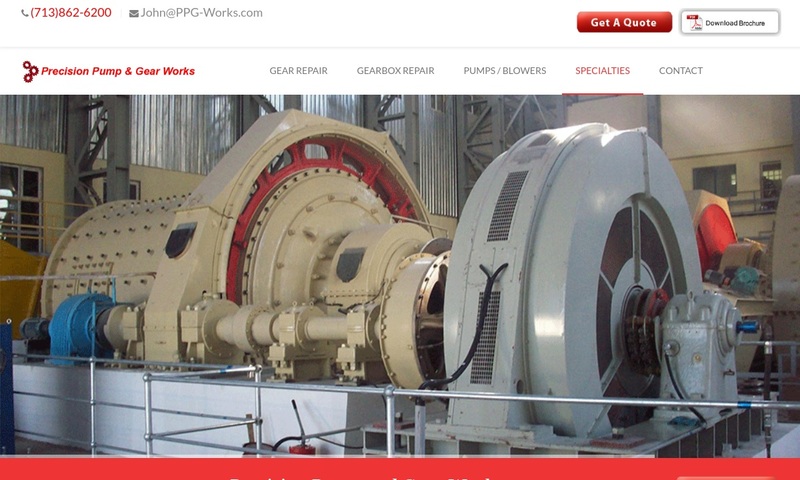 Precision Pump and Gear Works specializes in gear repairs by either rebuilding the broken or chipped teeth, re-cutting them, or by rehobbing them. 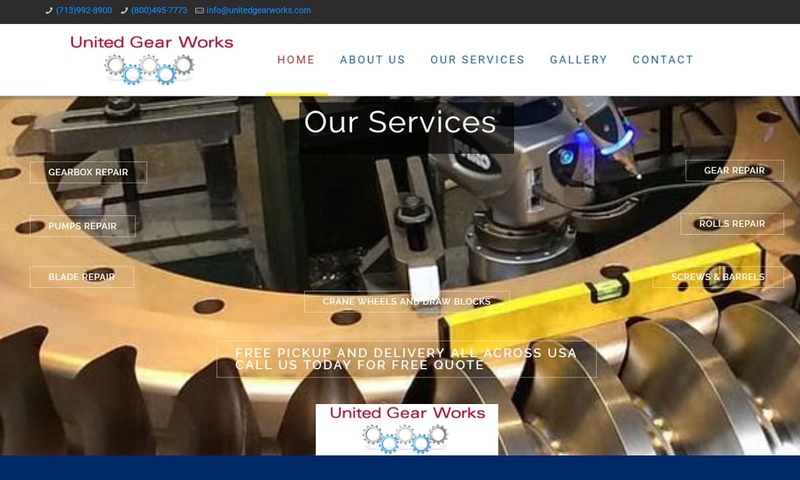 Here at United Gear Works we believe in repairing/rebuilding chipped, worn down, or cracked gears; they are built back to their original OEM specifications. 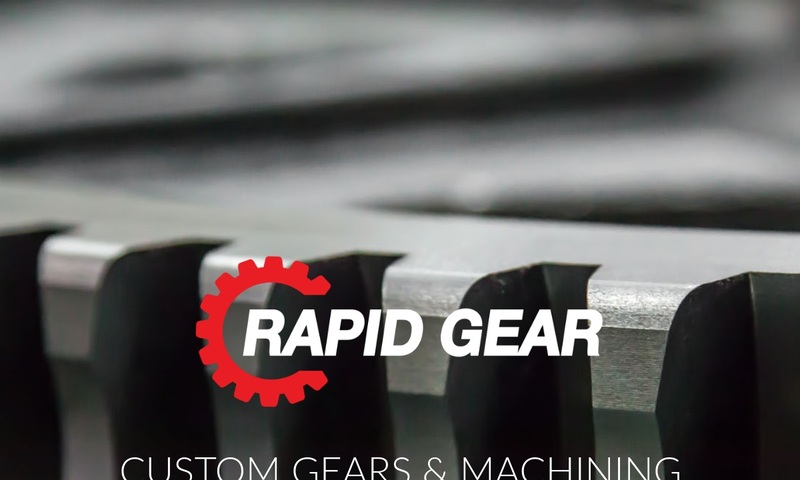 Being an industrial gear designer and manufacturer of gear boxes, gear assemblies, planetary gears, and reducers, explains why Rapid Gear is used by many industrial sectors. Perry Tool & Research produces powder metal gears to AGMA standards of 8, 9, 10, 11 and 12 and processes to a Cpk 1.33 minimum. Humans have been manufacturing gears for thousands of years. The earliest examples of gears we have come from 4th century BC China. They are housed at the Luoyang Museum in Henan Province, China. The first differential gear was also made in China, as suggested by a preserved gear, found with a Chinese south-pointing chariot. This gear dates back to the first millennium BC. The south-pointing chariot was designed by Chinese engineer Ma Jun, who was active between 220 and 265 BC. In 725, Chinese engineers built the first geared mechanical clocks. The oldest European gear artifacts we have come from between 150 and 100 BC. These gears were constructed as a component of the Antikythera mechanism, an ancient Greek computer devised to calculate astronomical positions. In addition, Hero of Alexandria (a mathematician and engineer who was either a Greek or a Hellenized Egyptian) wrote about gear manufacturing in Roman Egypt circa 50 AD. The basis of his work, though, can be traced back to the 3rd century BC Alexandrian school of thought. Another great influencer of early European/Roman/Greek gear manufacturing was Archimedes, the Greek polymath who lived between 287 and 212 BC. In the medieval Middle East (circa 1206 AD), Arab engineer Al-Jazari invented the segmental gear. This gear receives and communicates reciprocating motion to and from a cogwheel. Nearby, between the 13th and 14th centuries in the Indian subcontinent, the worm gear was invented for use in roller cotton gins. Meanwhile, in medieval England, Richard Poore and Elias of Dereham built the Salisbury cathedral clock. Built in 1386, this geared mechanical clock is still in use today. Gears were especially useful during the Industrial Revolution, when the use of machines and machine engines exploded. With the advent of steam power, for example, gear manufacturers had to build stronger and more durable gears that could help move trains. Since then, gear machining has only become more important. Modern gears take many cues from their predecessors. However, they are much more versatile and useful than older industrial gears. This is because they are generally stronger and smaller and can be made from many more materials, such as plastic. In addition, they can be made with greater precision than earlier gears, thanks to the advent of CNC technology. 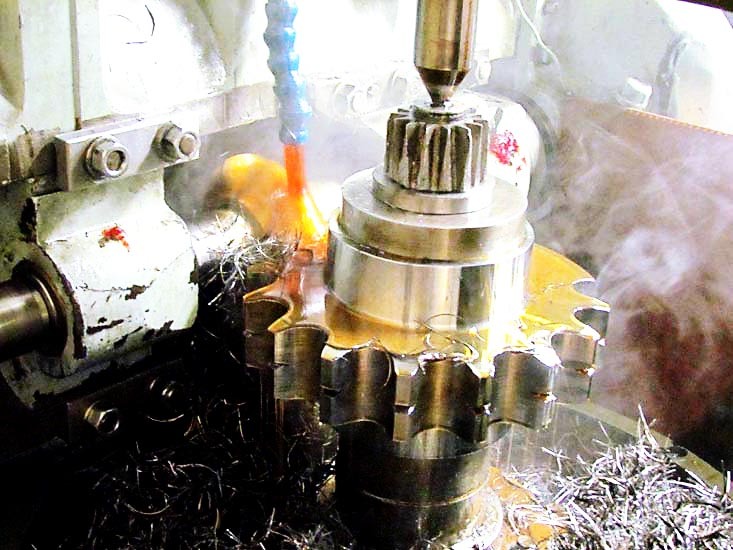 To help gears withstand wear and tear, they may also use a variety of cutting techniques, such as gear hobbing. To increase or reduce shaft rotational speed, manufacturers join differently sized gears. Also, to extend and improve the working life of gear systems, gears generally use some form of lubrication. Well-maintained gears yield great results. These gears may be made from any number of materials, depending on their application requirements. Most are made from metals or hard plastics. Demanding automotive applications, for example, engage hard metals like copper, brass, steel and, occasionally, titanium. In contrast, machinery applications that require lightweight components often utilize water-resistant plastic gears, like those made from polycarbonate or nylon. When manufacturers design industrial gears, they choose teeth numbers and gear ratios* with the knowledge that these determine a gear’s durability and strength, as well as the speed, function and control the gear will wield within a larger assembly. Using the production techniques outlined earlier, manufacturers can create custom gears for any setting. *The relationship between gear size and speed is called “speed ratio,” or alternatively, “gear ratio.” Gear ratio can be calculated using a gear’s number of teeth. For example, two interlocking gears that have 60 teeth and 30 teeth, respectively, have a gear ratio of 2:1. The world of industrial gears is quite varied. Some common types include: spur gears, gear sprockets, planetary gears, bevel gears, spline gears, helical gears, rack and pinion spur gears, worm gears and differential gears. The spur gear, also called a straight-cut gear, is the simplest type of gear available. Straight-sided along the gear wheel’s axis, with straight teeth in line with the axis, spur gears are frequently used as sprockets. Other types of spur gears transmit motion and torque laterally through compatibility with other parallel aligned gears. Such gears are main components in planetary gears. Sprockets are thin gears with easy-locking teeth that lock into roller chains, like bike gears. They’re used for non-slip pulley power transmission. Bevel gears are conically shaped, allowing them to interlock with other gears perpendicularly, making them useful for rear end wheel torque applications. Bevel gears have either straight or curved teeth, in which case they are called spiral bevel gears. Curved teeth are helpful for speed reduction of process machines like packaging machinery, textile looms, material handling systems and conveyor systems. Spline gears are either cylindrical or rod-shaped with straight teeth that allow them to transmit motion laterally by fitting inside internal devices or gears. Helical gears are fast rotating gears capable of supporting heavy loads efficiently and smoothly. They feature teeth inclined towards the axis of the shaft and positioned like a helix, thus the name. Quieter than many other gears, including spur gears, helical gears are popular with applications that feature both radial loads and thrust loads. Rack and pinion gears feature a rack meshed with a pinion. A rack is a toothed bar or rod with an infinite radius of curvature. When meshed with a pinion, as the pinion turns, the rack moves in a straight line, and converts torque to a linear force. Rack and pinion spur gears are common components of rack railways and automobiles. In the latter, they convert steering wheel rotation into the left-to-right motion of tie rods. Worm gears are a type of helical gear with a larger helix angle, close to 90 degrees, and long body in the axial direction. These features cause worm gears to resemble screws. The best way to distinguish a worm gear from a regular helical gear is by looking at its teeth—if even just one tooth persists for a full rotation around the helix, it’s a worm, not a helical gear. Worm gears are valued for their high torque, low speed gear ratio and their simplicity and compactness. Differential gears feature two shafts that can be independently adjusted in angle and direction. Differential gears are designed to mesh and work with one another at a controlled speed in order to produce a desired amount of torque. Mostly, differential gears are used in automobiles. Common gear accessories include: handwheels, stem protectors, stem nuts, miter boxes, housings, gear lubricant, gear oil, temperature monitors and lug drives. There are a number of ways that you can care for your gears and make sure they live a long, fruitful working life. First, always read the labeling and info that comes with your gearbox. Check the ratings to double check that your gearbox matches your intentions. Dust and other particles floating around in the air can really damage your gears if you allow them to build up. To prevent this, start by limiting the dust and pollution in your production facility. Systems that can help air quality include: air curtains, vacuum cleaners and dust management systems. These should not only remove particles from the air, but from the homes they’ve found in the nooks and crannies of your machines and their gears. Likewise, make sure to keep liquids and fluids like water and chemicals away from your gears. Allowing them to make contact can cause the system to malfunction, corrode, rust or otherwise change. One way you can keep liquid at bay, is by regularly checking shaft seals to make sure they have not broken. Broken seals lead to leaks, which can not only cause liquid contact, but also cause higher fuel bills and hindered functioning. Another way to keep your gears healthy is by regularly applying lubricant. This prevents friction and all the problems that come along with it, including reduced working speeds. Always make sure to check with your manufacturer before using a lubricant, as not all lubricants are suited for different gears. Finally, never allow the engine in which your gears are working to overheat. Overheating can lead to many problems, such as inadequate process, overloading and pollutants on the gear shaft or teeth. To make sure your gears do not overheat, regularly check the engine. Like most industrial mechanisms, the standards to which your gears must adhere depend on your industry, application and region. For example, if your application is in food production and in the United States, it must be FDA approved. In the United States, one of the most highly valued gear standards organizations is the American Gear Manufacturers Association. AGMA also helps set up American ISO standards. We highly recommend you ask for AGMA certified gears, whether or not your industry/application requires it. 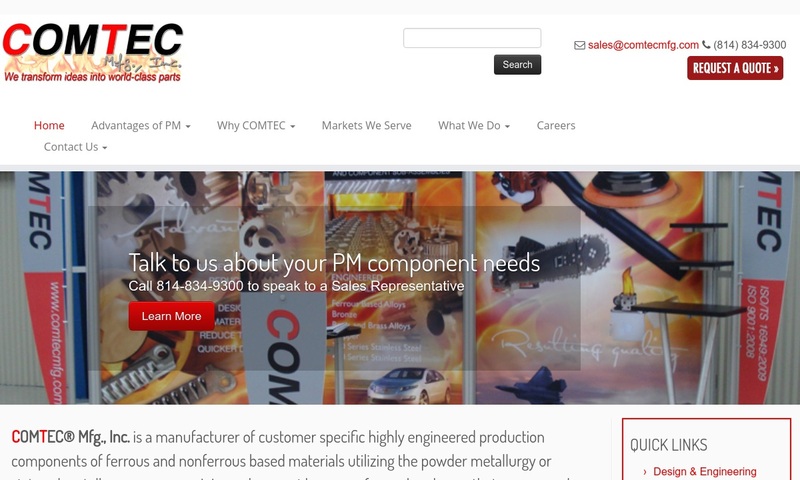 There is an overabundance of industrial gear manufacturers offering their services on their interest. While there are some good ones out there, there are definitely some not-so-good ones out there as well, and it can be extremely confusing and overwhelming for someone seeking the right manufacturer. That’s why we’ve taken the time to put together a list, complete with profiles, of high quality industry leaders in whom you can put your trust. 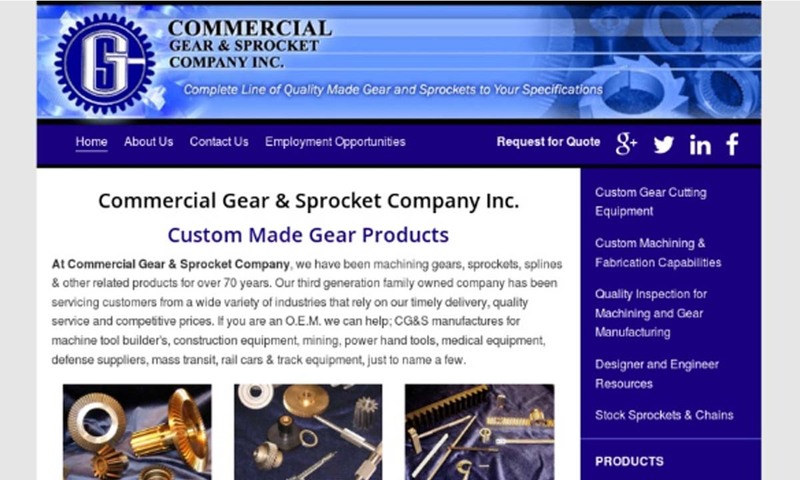 For your custom gear application, we recommend you choose your manufacturer from among this list. Of course, we know you can’t choose every single one, even if they are all experienced manufacturers. So how do you choose? We suggest you start put together a list of your specifications, complete with requirements related to your budget, timeline and delivery preferences. 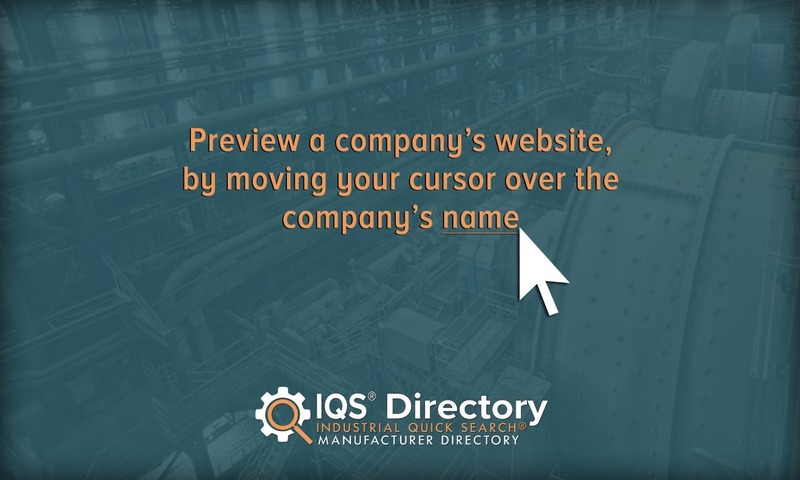 Then, with your list in hand, browse industrial gear companies listed on this page. Pick out three to four with services that you think will best serve your needs. Then, reach out to each of them individually to discuss those needs. Once you’ve done that, compare and contrast your conversations. Choose the manufacturer in whom you have the most confidence. Good luck!